The Rib Ranch, a Marietta mainstay for over 34 years, will close for the final time on Christmas Eve at 2PM. The restaurant, located at 2053 Canton Road, opened on July 12, 1983. According to The Rib Ranch website, the restaurant and catering kitchen were struck by lightning on October 5, 1995 during Tropical Storm Opal and burned down completely. The restaurant and catering kitchen reopened in April 1997. The restaurant confirmed their upcoming closure in a Facebook post Monday. "All Good Things... After 35 years, we are closing our business. Our last day will be Christmas Eve at 2:00 pm. Now is your last chance to get your fill of Rib Ranch BBQ. Thank you so much for your support over the years. You will be truly missed." 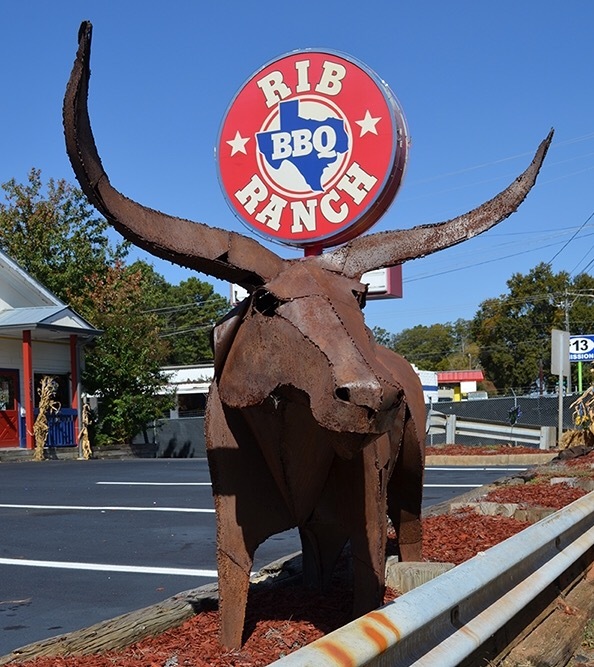 A repeat winner at Taste of Marietta, The Rib Ranch was a favorite for locals near and far. The restaurant property was listed for sale in April with an asking price of $780,000. The roughly 4,700 square foot restaurant sits on just over nine tenths of an acre. A restaurant employee indicated there are currently no plans for anyone to reopen the restaurant for any redevelopment on the restaurant's property. Are you surprised by the closure of The Rib Ranch? Where is your favorite place for BBQ in Marietta? What would you like to see open in place of The Rib Ranch? +1 on continuing that awesome VERY WELL BALANCED sauce and the BEST ribs I have ever had! I hope that if they don't try to bring back that quality food then they at least sell their secrets to someone who will faithfully reproduce them. Yes, the home made chicken strips, barbecue omelet, cheese grits, cheese potatoes, brisket, pulled pork, and many other things were memorable and delicious. The atmosphere was definitely part of the charm but I could learn to live without it if the food was as good..